One of my favourite tips from our testers as to attach a strip of fusible interfacing along the pocket opening edge on the wrong side of the Pocket Lining  to prevent the pocket opening stretching out during use. Place the Pocket Lining  on the Front  with right sides together and so that the pocket openings line up. Sew 5/8” (1.5cm) along the pocket opening. 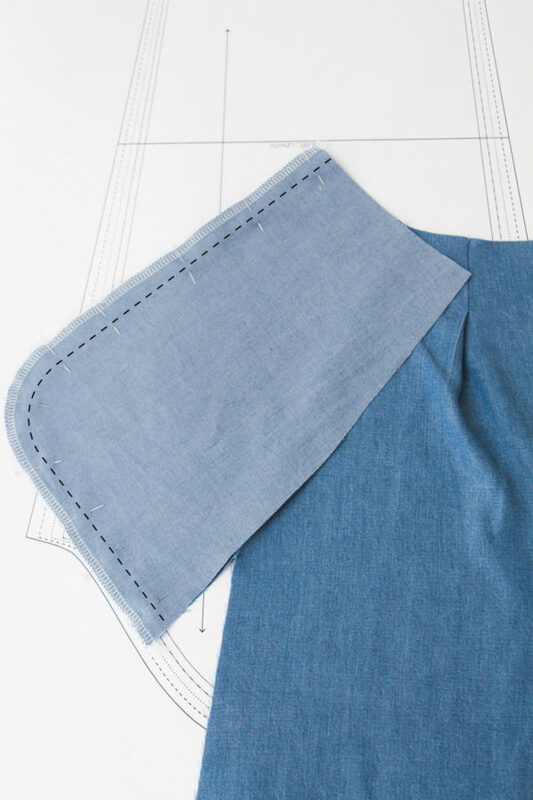 Press the pocket and seams outwards away from the pants. Understitch close to the seamline on the pocket by sewing around 1-2mm from the seam. This will prevent your pocket lining from showing during wear. I’m a huge believe in pressing a lot when sewing, so at this stage i like to turn the pocket lining towards the wrong side and press along the pocket opening to make sure its neat. 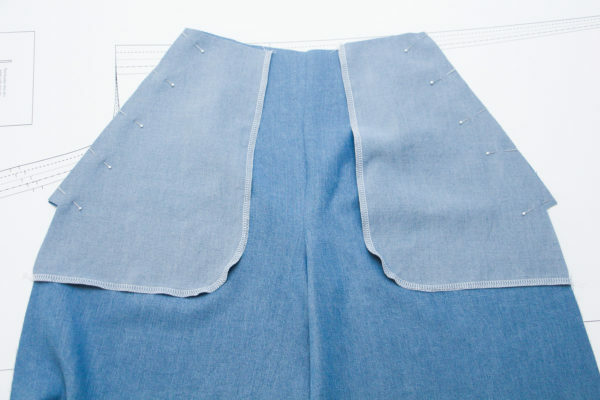 Place the Pocket  on top of the Pocket Lining  with right sides together and so that the notches line up and pin carefully. This is where you need to be careful and pay attention. 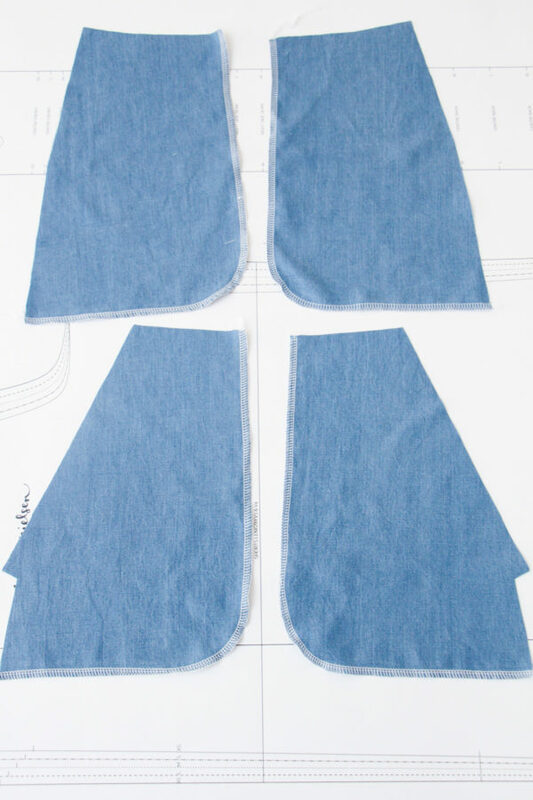 On the left pocket only sew 5/8” (1.5cm) from the raw edge around the curved edge, stopping at the notch indicated on the pattern piece, then pivot towards the seam allowance, sew and then backstitch to reinforce. 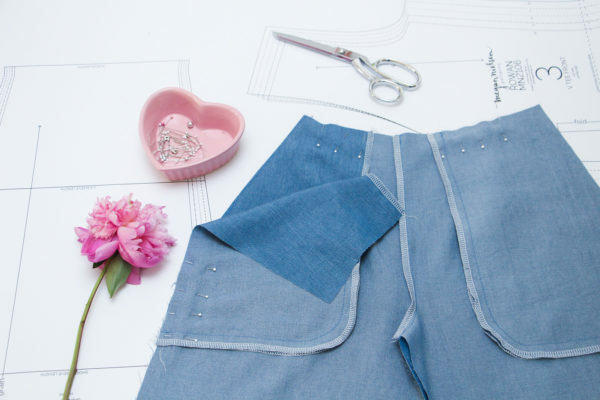 Sew only the Pocket Lining and Pocket together, not the pants. 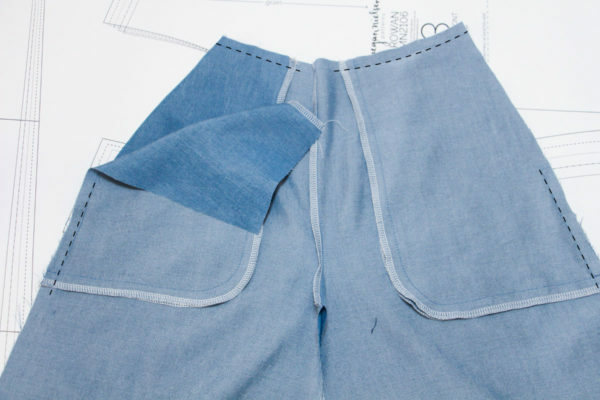 The opening created in the left pocket will be the entry into the pants or shorts. When joining the left pocket to pieces, after pivoting i like to add a bartack for greater reinforcement. This edge will take a lot of strain when you take your pants on and off. 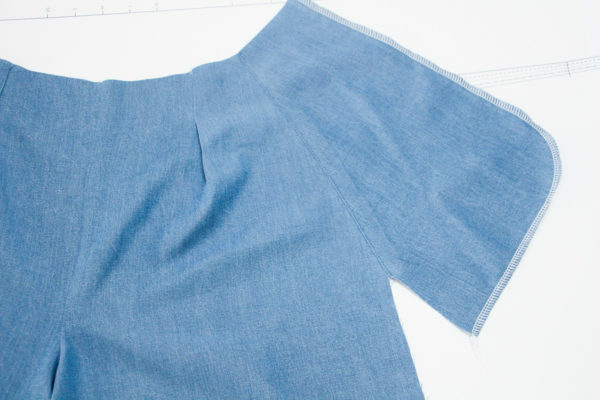 On the right pocket only sew 5/8” (1.5cm) from the raw edge around the entire pocket outer edge. 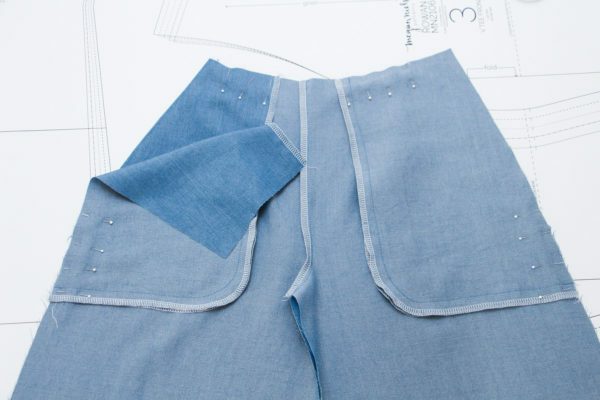 Sew only the Pocket Lining and Pocket together, not the pants. 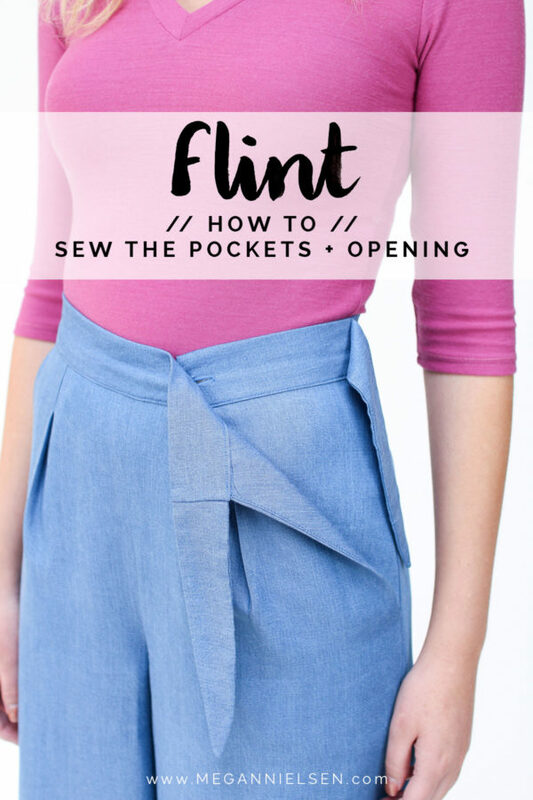 Turn the pockets towards the wrong side and press the Pocket Lining and pocket opening well. 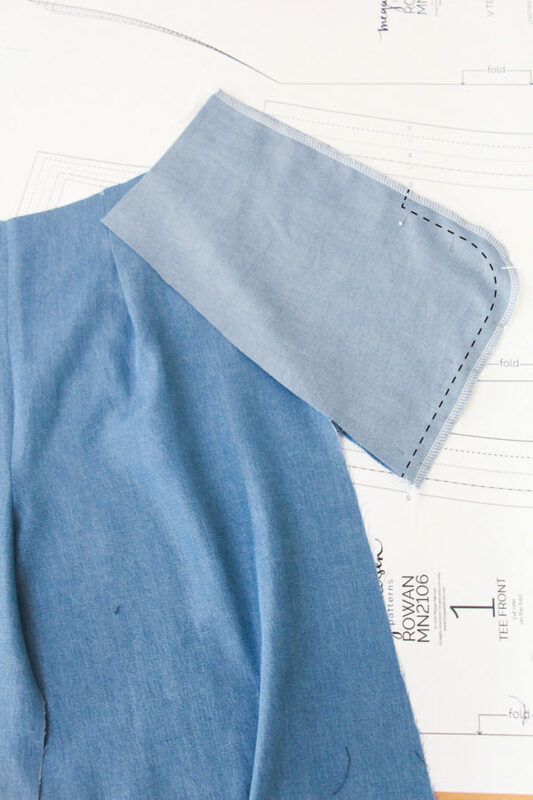 Ensure that the edges of the Pocket Lining opening line up with the notches on the Pocket. 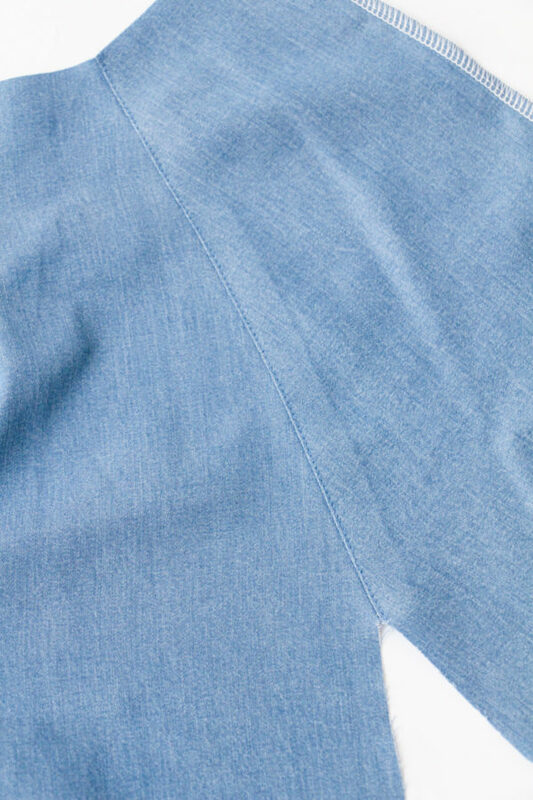 Baste ONLY the left Pocket Lining to the waistline seam ½” (1.3cm) from the raw edge, and leave the left Pocket loose at the waistline. Baste both the Pocket Lining and Pocket to the side seam. 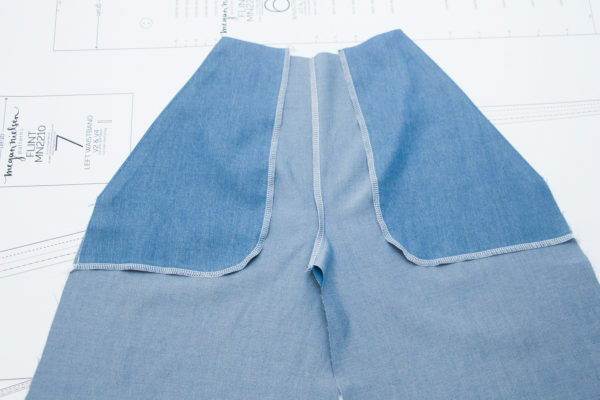 Baste both the right Pocket Lining and Pocket in place along the side seam and waistline seam, ½” (1.3cm) from the raw edge. 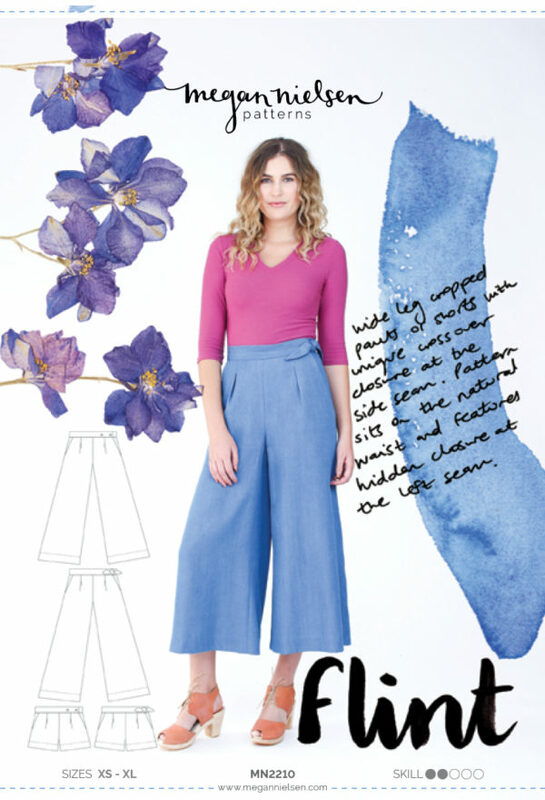 And now you’re ready to continue sewing your pants. 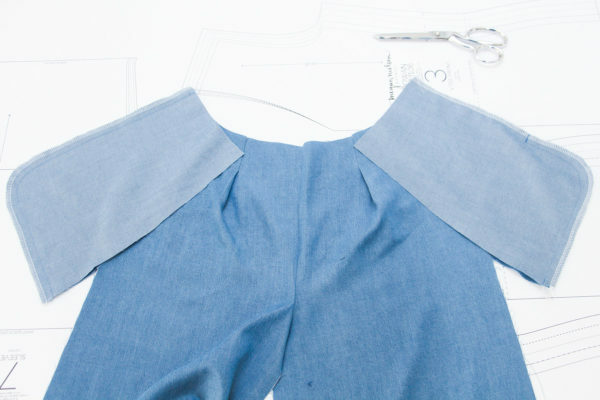 In our next tutorial we’ll sew the seams, so stay tuned! It would be helpful in tutorials such as these to specify if it is left/right *as worn* or not, I always find that confusing.